The first official census was taken in the UK in 1801. It was taken because there was an increasing concern about the amount of food available for people to eat. Up until 1831 the census simply showed how many people lived in each house. From 1841 the name of each person was included. 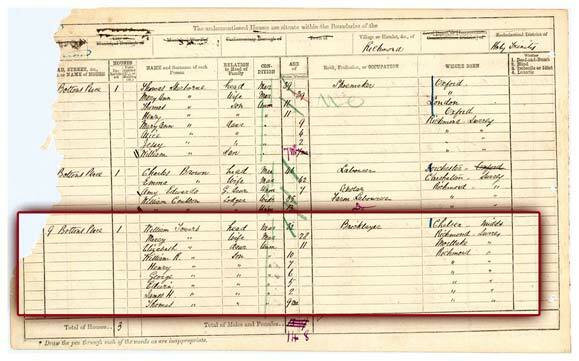 After 1851 the other details that you see in the census below were included. Did you notice that William was named after his father? This used to be very common. How many people do you know who have the same name as their dad? Also, the head of the house, William Towers, moved away from the area where he was born before the birth of his children. Can you think of any reasons why he may have moved? What do yo think 'unm' means?